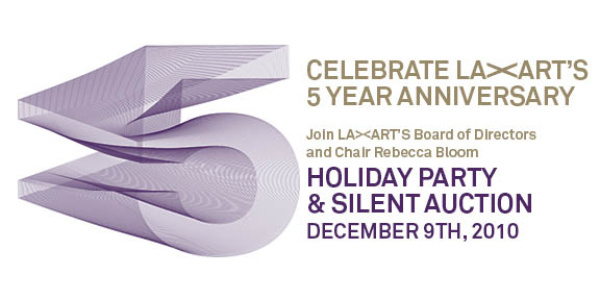 PLEASE JOIN LA><ART'S BOARD OF DIRECTORS TO CELEBRATE 5 YEARS! With generous support from Gemini G.E.L. Artist Joel Kyack along with LA><ART Curator of Public Art and Programs Cesar Garcia and arts writer Andrew Berardini come together in a panel discussion about Kyack's first large-scale public project in Los Angeles. This event, as with all Hammer public programs, is free . Seating is on a first come, first served basis. Hammer members receive priority seating, subject to availability. Reservations not accepted, RSVPs not required. 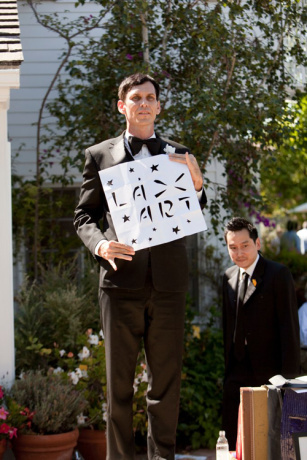 Join us Saturday September 25th for Joel Kyack's performance of Superclogger at the HAMMER museum from 1 - 4 PM. 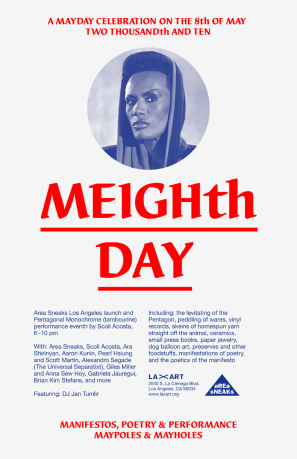 This event marks LA><ART's first collaboration with the HAMMER museum. 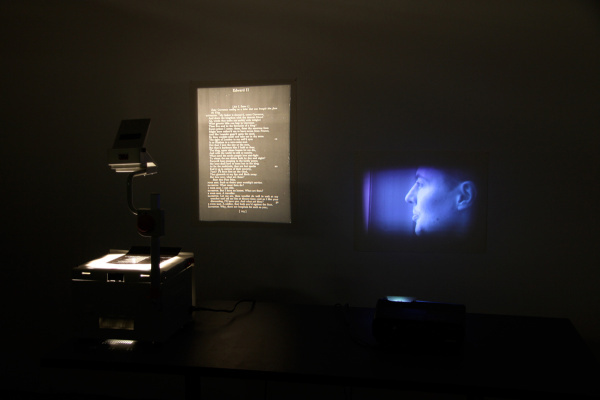 Please join us for the opening reception for Glenn Kaino: Safe | Vanish tonight, Thursday September 23, 2010 from 6 - 8 PM. 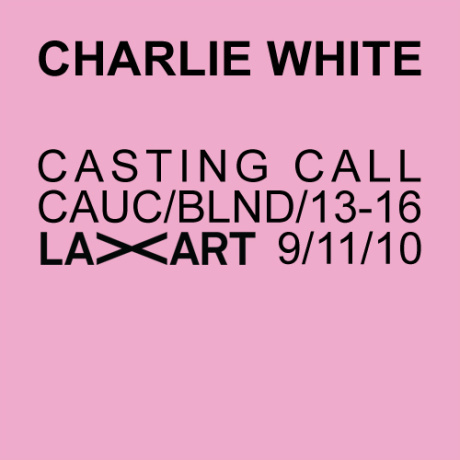 Charlie White’s Casting Call is made possible with generous support from LA><ART’s Producers Council, Helen Lewis, Collector’s Circle, Sheridan Brown, Alisa and Kevin Ratner and Grants for New Projects. This event is made possible with generous support from Stags’ Leap Winery. Musical direction / arrangements / cello: Jessica Catron, with Joe Berardi (drums) and Jeremy Drake (guitar)Plus Dodie Bellamy reading from a new work commissioned for the project. We are expecting to reach full capacity. 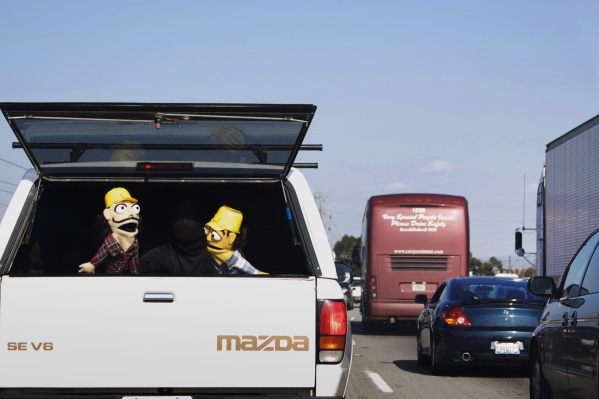 Please plan on arriving thirty minutes early. 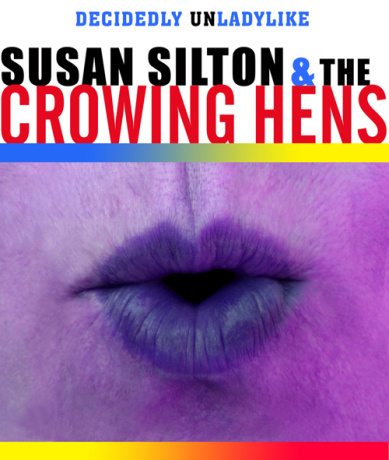 Don’t miss your chance to purchase a signed limited edition poster by Susan Silton! 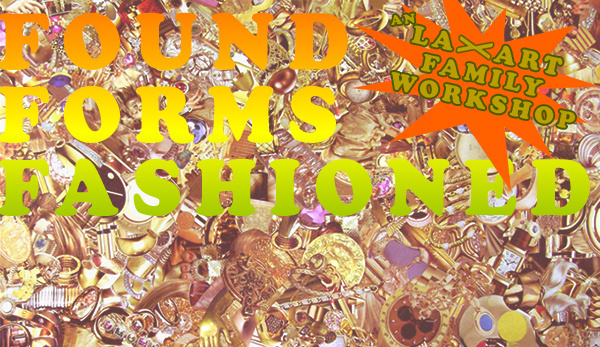 Please join us for LA><ART’s Family Workshop with Los Angeles-based artist Fay Ray. Come create crowns, necklaces, head-dresses, wreathes, bracelets, rings and any other adornments that inspire you with artist Fay Ray. Bring your own objects and elements to enliven and incorporate into your pieces that speak to your individuality as Fay leads the group in the making of your own wearable sculpture! Artist Fay Ray will guide the workshop as participants appropriate found/everyday materials into wearable sculpture using techniques such as collage, braiding, knotting, gluing and beading. Influences for this project include traditional dress, ritualized vestments, noble and ancient garments and jewelry, music, sculpture and pop culture. Parents, an array of materials will be provided to complete this project but please feel free to bring any kind of personal elements that inspire your little one. Decorative papers, ribbon, and photographs are all great ideas! 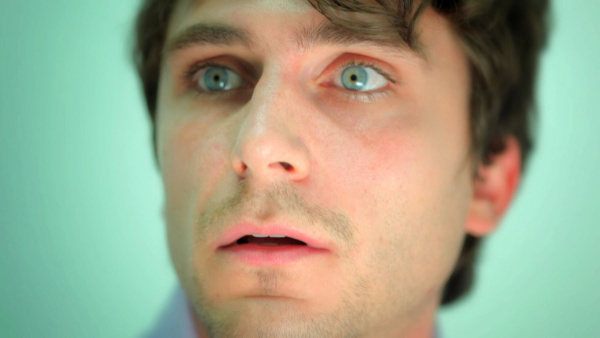 a one-night performance by Los Angeles-based artist Alexandro Segade at LA><ART. EVERY BUILDING IN BAGHDAD: The Rifat Chadirji Archives at the Arab Image Foundation January 7 - February 17, 2018.